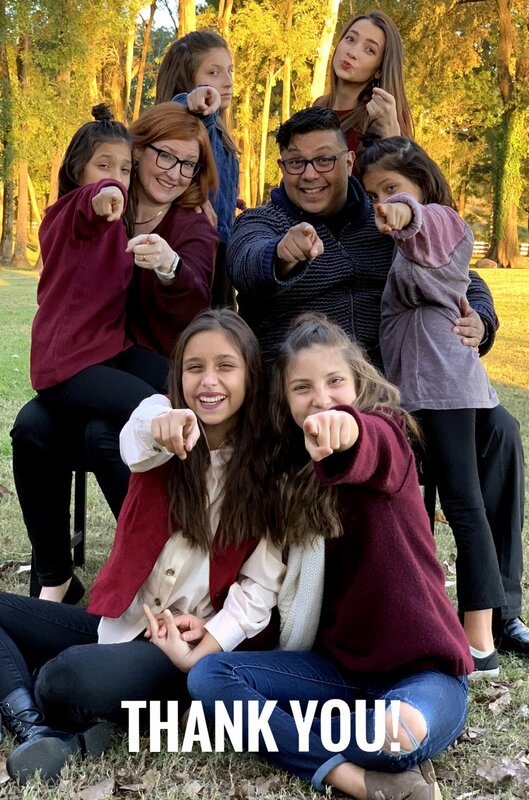 I wanted to do something a little different this month for the newsletter and shine the spotlight on some of the other things FamilyLife’s parent organization (Cru) is doing around the world. Formerly known as Campus Crusade for Christ, Cru is a huge organization with many ministries that come under it’s oversight. What started as a ministry to students on the UCLA campus, now touches the lives of people in every segment of society and in every corner of the world. I can’t cover everything that Cru does, but from time to time I do want to expose you to other ways God is working through the ministry of Cru. 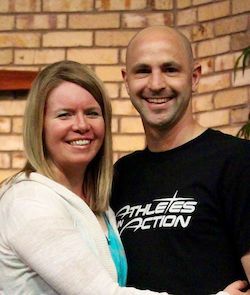 Nate and Lisa Buxman are friends of ours who are missionaries with Athletes in Action. The ministry of AIA has a presence in 205 campuses across the country, 35 professional sports teams, and 97 countries. Nate and Lisa work on the campus of the University of Missouri building relationships with coaches and college athletes from all over the world in efforts to win them to Jesus, build them in their faith, and teach them how to use their platform to reach others for Christ. This is Kendall. When we met last spring, he would tell you that he saw me meeting with Rod in the dining hall with our Bibles open. He walked by, and felt a voice inside saying, “I should do that.” He ignored the voice and kept walking. The next week he saw us and heard the voice again. This time he approached the table and said, “Rod, let me know the next time you do this,” and quickly walked away. The third week, the voice got so loud, he finally sat down and said, “Hi, I’m Kendall, and I want to grow in my faith, but I don’t know how. Can you meet with me, please? We had lunch the next day and I shared of Jesus’ love, forgiveness and hope of eternal life. Kendall was eager to repent and surrender his life to the Lord. God is doing amazing things in people’s lives. Take a moment now to praise God for what he’s doing in Kendall’s life and in many other athlete’s lives around the country! Also lift up Nate and Lisa as they reach students on the campus of the University of Missouri. Looking for 50! Are you one of them? For 6 years we have been an integral part of the ministry at FamilyLife. Whether it's through video creation/editing, organizing events, or involved in strategy meetings about what the future looks like we think it's an exciting time to be a part of the ministry of FamilyLife. At the same time, through both increased expenses (3 out of our 6 girls are now teenagers!) and through some lost financial support over the years, we find ourselves needing to rebuild our support team. As a friend of the ministry, we wanted to let you know that we currently need to identify 50 new monthly financial partners to rebuild our team and be fully funded. As you can see from the graphic below, God has already provided 30% of the new partners we're needing. You’ve followed our ministry for a while via our emails or online social posts and know of the impact that FamilyLife is making to transform lives and reach people for Christ. Would you prayerfully consider joining our team at this time? Above is an example of different giving levels for you to consider joining our team. "I came with my ex-husband…"
Thanks for your prayers for us in this life transforming ministry. If you think parenting is easy…you’re doing it wrong. That’s not to say that there aren’t moments of joy, laughter, and fun cuddles. But from the moment your child comes into the world a little part of your heart is walking around outside your body. And it is exhausting trying to keep them safe, to mold and shape their character, and to guide them in their journey to adulthood. In the younger years, you try to minimize the boo-boos, the cuts and scrapes that your child can get into physically. But, as they grow, they start to experience pains that can’t be covered by a band-aid. When they were young you were their hero, but around the teen years you suddenly realize you’re not as “cool” in their eyes as you once thought you were. While there a million choices parents make today…cloth or disposable diapers? Homeschool or public school? What is the right bedtime for a toddler? How much time on screens should I allow them? What’s the right age to give them their own cell phone? Do I make them eat Aunt Susie’s green bean casserole?…yet, the Bible doesn’t have specific answers for all of those questions. But the Bible does provide guiding principles that will make a parents job much easier through the years. That’s what FamilyLife’s Art of Parenting is all about. We’ve gathered some of the best experts from around the country to give us the big picture of what our role as parents is all about. I don’t know about you, but I know that in the midst of the day to day parenting chaos we call life we need to be reminded of the big picture. Both Deborah and I have had a significant role in the Art of Parenting Online launch. Deborah was selected to be one of the two online hosts who will guide participants through the video series. And Abe has worked behind the scenes with filming some of the online bonus content, and then also editing the series into it’s online incarnation. We are so excited for parents to finally get experience it on May 1st. You found us, welcome to the PartyOf8. So who are we? We're a family that loves God, loves people, and loves having fun together.